Ibicuy is a small town of 4000 inhabitants in the southern area of the province of Entre Ríos, located in the Delta of the Paraná River. There are no industries and the activity is mainly commercial. It is 40 km away from National Highway Nº 12 which connects it to the north with the Mesopotamia and south to the greater Buenos Aires area and the Pampa region. The Mesopotámico railway connects with the port. There is an airport for smaller aircraft 117 km away at Gualeguaychú. 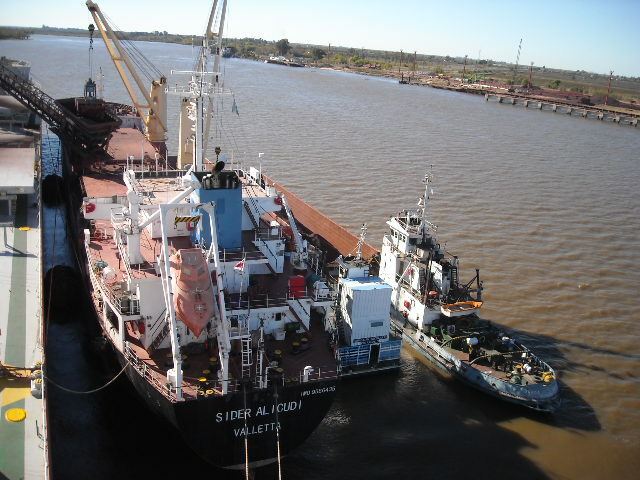 Ibicuy is a port situated on the left bank of the River Ibicuy and about 7 km above the point where it joins the Paraná Guazú (km 211). 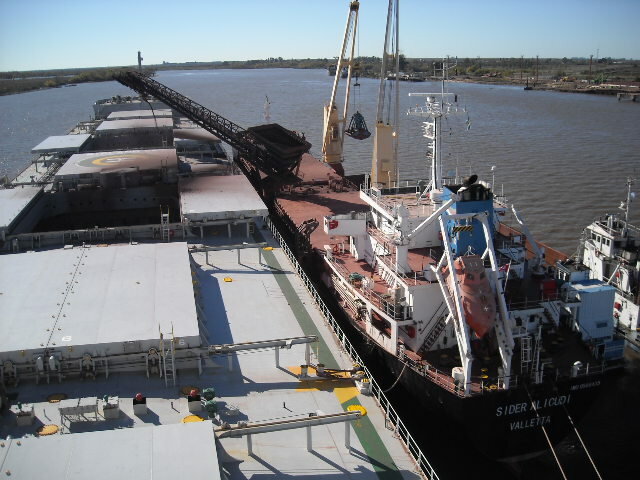 The port is inoperative due to the collapse of the New Quay in September 2011, which occured during handling of iron ore that exceeded the wharf cargo design capabilities. 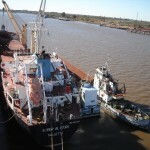 During 2012, both the goverment of Entre Ríos Province (port owner) and the concessionaire, have begun studies and plans to repair and reactivate the port. The quay (called Continental) for ocean going vessels is of reinforced concrete and steel construction, 160 m long, 14 m wide, with outlying mooring points for head/stern lines. 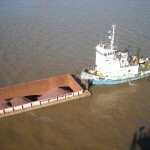 This quay and facilities were remodeled to comply with new security regulations. Maximum LOA 220 m. Wood pulp, eucalogs, rice and general cargo is received directly alongside by trucks or railway wagons, temporary lines being set up on the quay for that purpose when required. As said, studies and plans to reconstruct the continental quay (New Quay) are ongoing and expected to begin effectively middle 2012; plans include new port premises, enlarging actual capabilities to receive about 1.000.000 tons of manganese yearly (from Urucœm, Brazil) by barge, as well as soy bean and by-products, eucalogs, rice, wood pulp and general cargo, and transfer it to ocean going vessels. 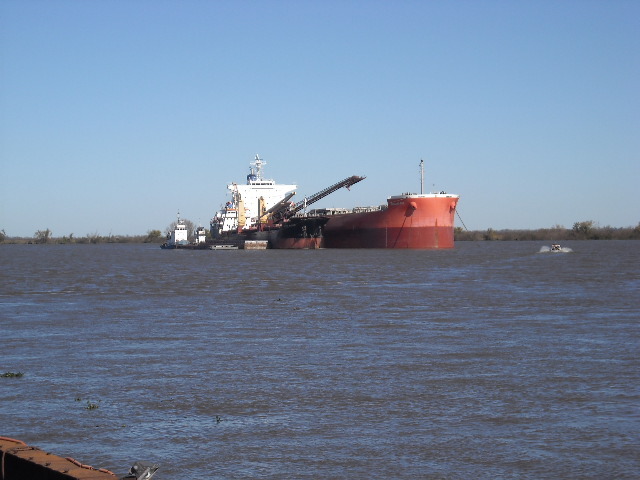 Berth 10,50 m (34’06’’ft) and least depth in Ibicuy channel is 10,60 m (35ft) at datum. 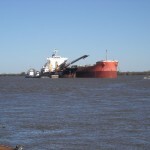 Further restrictions established by least depths in Access routes (Paraná Guazú river, Paraná de las Palmas river, Emilio Mitre channel or Martín García channel) Coastguard regulation IBIC Nº17/00 establishes a mínimum safety margin under the keel of 60 cm (2ft) for every Vessel sailing the Ibicuy river, from the port to the mouth of the Paraná Guazú river. 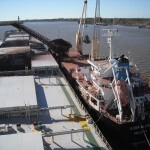 Port pilot is requested from Campana by agents well beforehand so that pilot´s transport may be arranged. 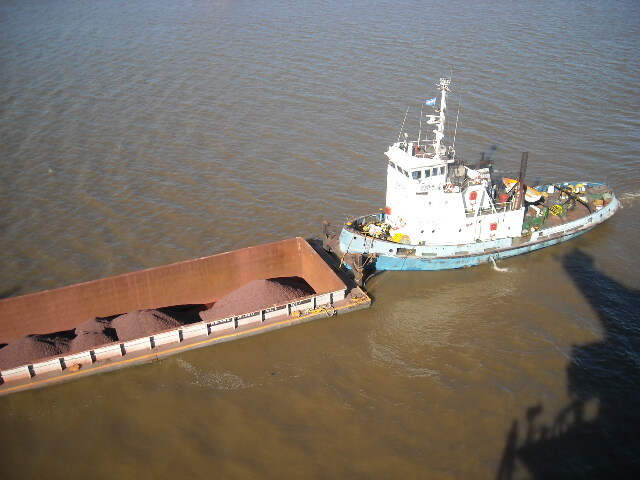 Paraná river Pilots are requested from Buenos Aires. Not available locally, nor compulsory. However for vessels over LOA 157 m Pilots request assistance of one tug fur unberthing, which must be called from Campana. One small local hospital. Local resident doctor, can attend on board. None. With sufficient notice bed and breakfast accommodation can be arranged through agent. Can be arranges with three working days pre-advise. Available at berth by truck only and with sufficient pre-advise. None. Forklift truck and mobile crane available from private owners. 2 warehouses with total 1000 sqm covered area. Space about 21000 sqm but decreasing as new quay and facilities under construction. Limited, should be requested at least 48 hours in advance, otherwise arrange to Supply from Buenos Aires or Campana.